Printing: One colour on Crane&Co. 100% Cotton Fluoro White 600gsm. 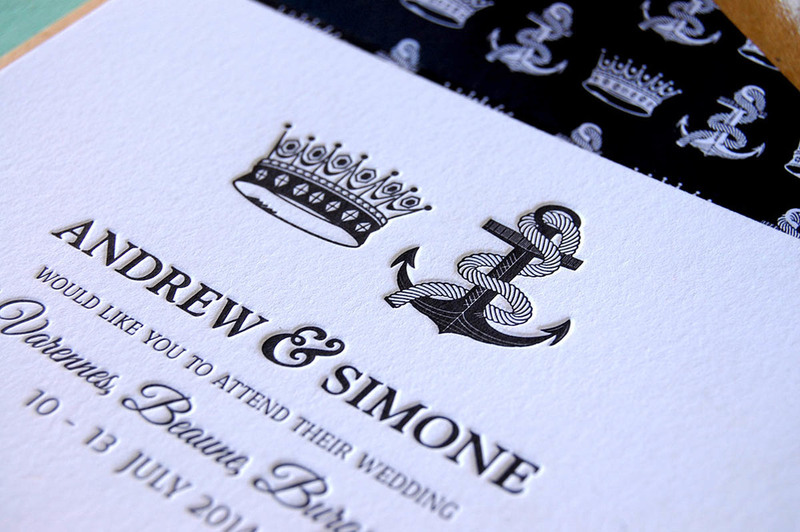 Andrew & Simone's save-the-date incorporates custom-illustrated crown and anchor motifs as chosen symbols to represent the bride and groom. Especially with the thick 600gsm card and matching inlay, the final presentation is one-of-a-kind!